New York City may be a small land mass, but it’s a fairly big place. Big enough to feel like you’re marginalized, even with the knowledge that the city itself is a Melting Pot of so many nationalities. Puerto Rican working class people began to band together and refer to themselves as Nuyorican around the 1960s. The movement originated in East Harlem, and it would come to define literature, theater, musical and cultural experience for Puerto Ricans to this day. 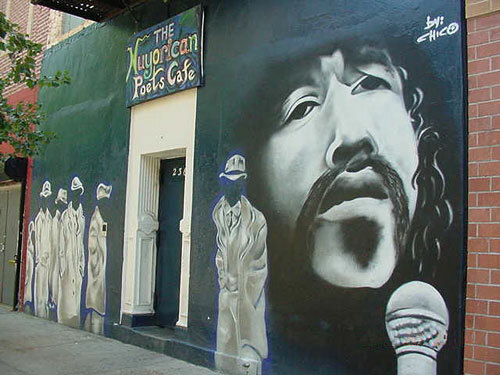 Nuyorican music, for instance, has heavy influences in today’s brand of hip hop. Even contemporary salsa can trace some of its roots back to Nuyorican. The signature flutes, violins and percussion made popular by artists like Tito Puente evolved into a musical styling all on their own. What’s interesting is that Puerto Ricans from Puerto Rico sometimes reject this style of music, labeling it as distinctly American. This has caused something of a divide amongst latin music aficionados, and there is some question as to the authenticity of Nuyorican music as a result. Nuyoricans are also known to use a lot of Spanglish, most likely as a side effect of being both distinctly American and Puerto Rican. The term “Nuyorican” is actually a portmanteau of New York and Puerto Rican, and it was originally used as an insult to describe people who spoke heavy Spanglish. It became a symbol of cultural heritage as artists like Miguel Algarin reclaimed it and changed its meaning.